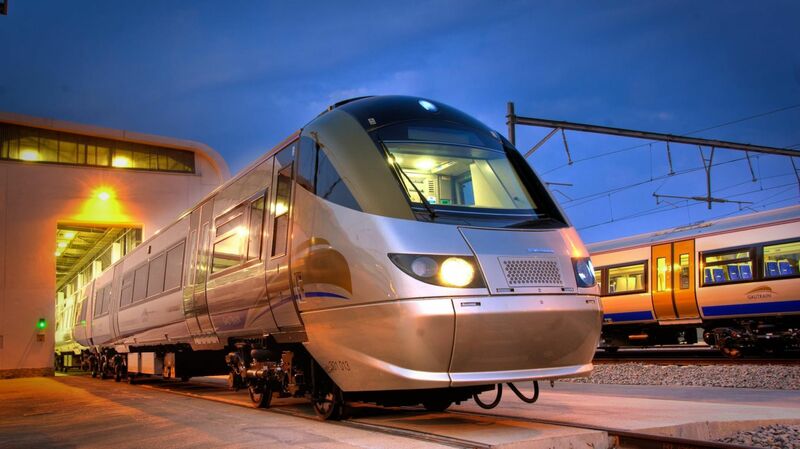 Integrated into Sandton City, connected to the Sandton Convention Centre and a 15-minute Gautrain journey from O.R. 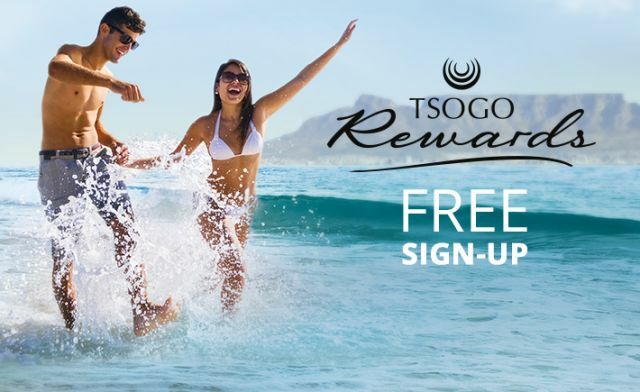 Tambo, the five-star Sandton Sun hotel offers an incomparable position in Sandton. 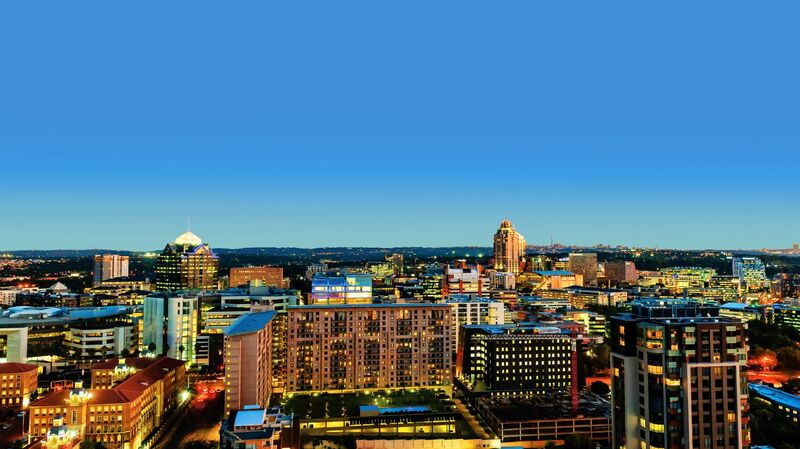 A permanent fixture in the modern incarnation of the Sandton skyline, the Sandton Sun hotel has evolved to meet the needs of business guests and exceed expectations in relaxation and degustation for leisure escapes, weekend breaks and international arrivals. 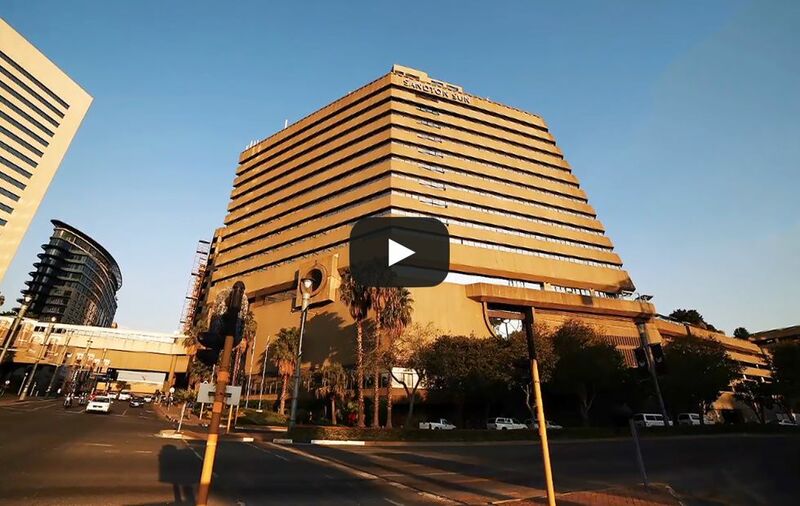 From startups to JSE stalwarts, Sandton Sun has remained the accommodation of choice at the centre of Sandton business. 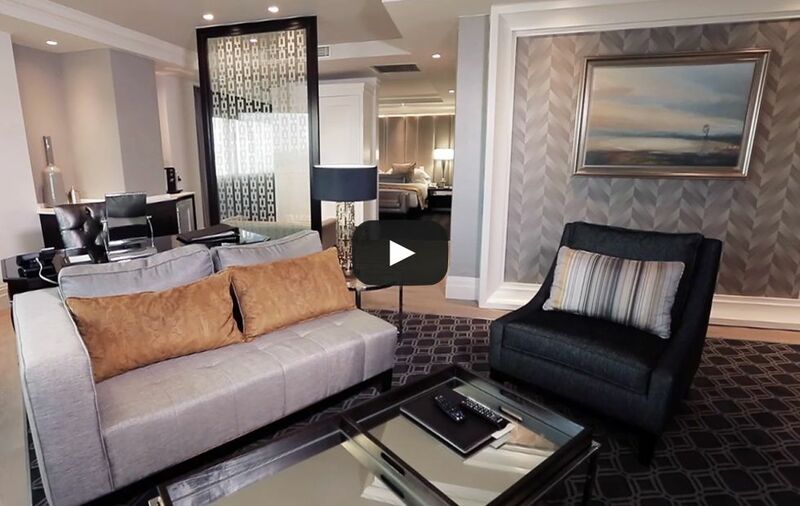 326 rooms and suites at the Sandton Sun hotel are designed for business convenience and luxury living where every room has a Nespresso machine, USB plug-points, full mini-bar and 48” flat-screen as standard. Standing in a class of its own, the Presidential Suites feature Bvlgari amenities, sound and vision from Bang & Olufsen and Bose, private Jacuzzi’s and sunken baths with skyline views. 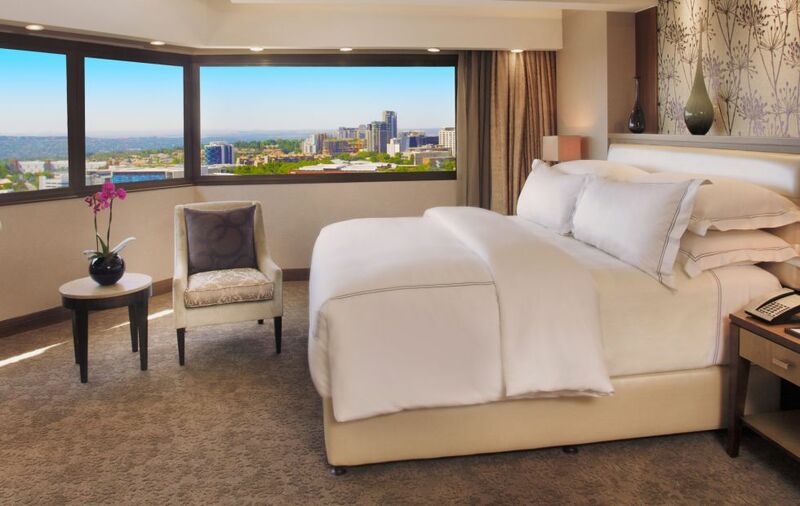 Whatever room or suite you choose, climate control, twice daily maid service, pillow choices and complimentary WiFi completes the experience. 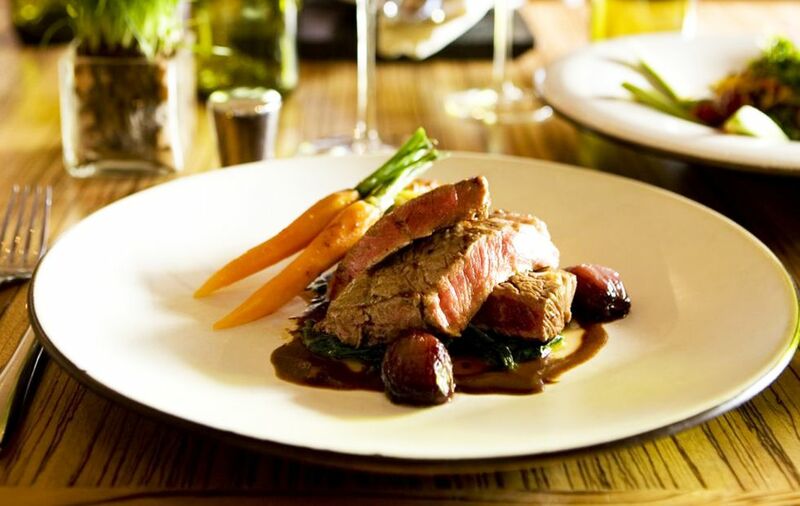 San Restaurant is focused on sustainability and seasonality, showcasing fine ingredients like Wagyu short ribs and KZN grass fed lamb, poached oysters with saffron, citrus chiffon and brandied honeycomb. 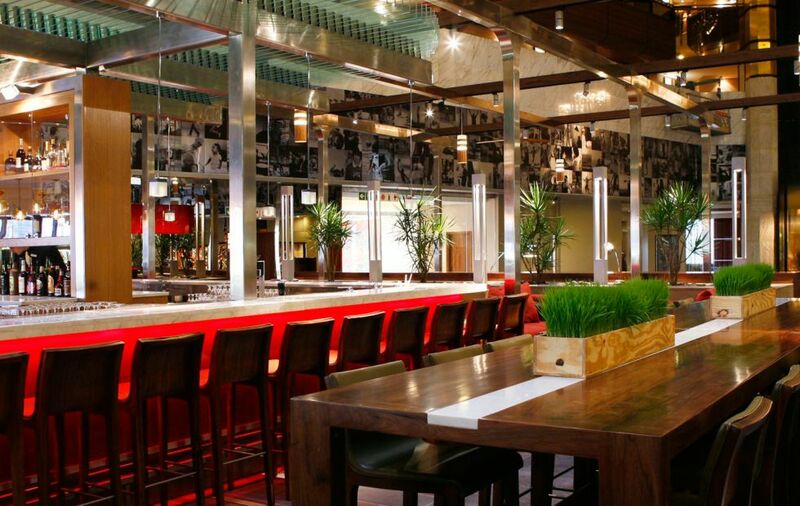 A show-kitchen encourages up-close chef interaction, while the bar and lounge is perfect for end-of-business drinks or new business beginnings. San Deck needs no introduction, a rooftop all-day bar destination unique in the city and synonymous with firepits, statement cocktails and a sophisticated clientele. A dedicated business suite for VIP check-in or pre-meeting shower, high speed WiFi, chauffeurs and concierges, lounge areas for discreet meetings, a range of dedicated meeting spaces and a direct connection to the Sandton Convention Centre’s 22,000m² of flexible event space; Sandton Sun is built on business. 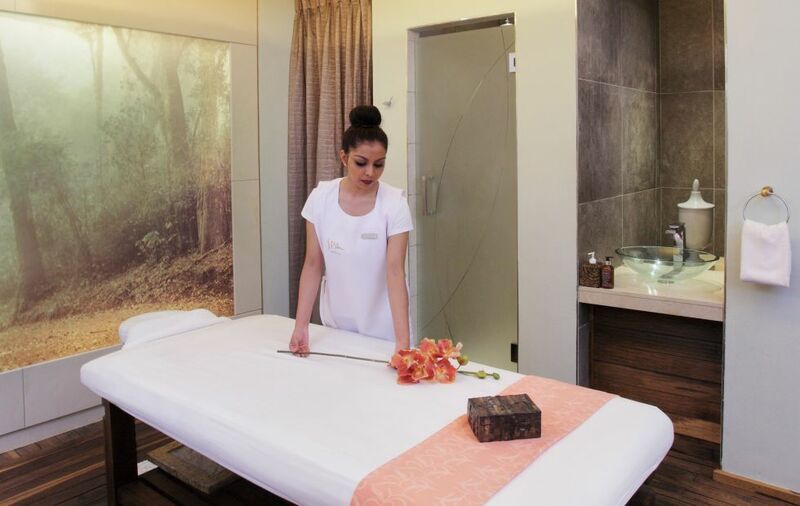 Step into Sandton serenity at the Spa where holistic wellbeing and undisturbed calm is on offer in eight treatment rooms. Inner city chill-outs in the rooftop pool are the perfect cool-down after diving into the best shopping and entertainment the city has to offer. 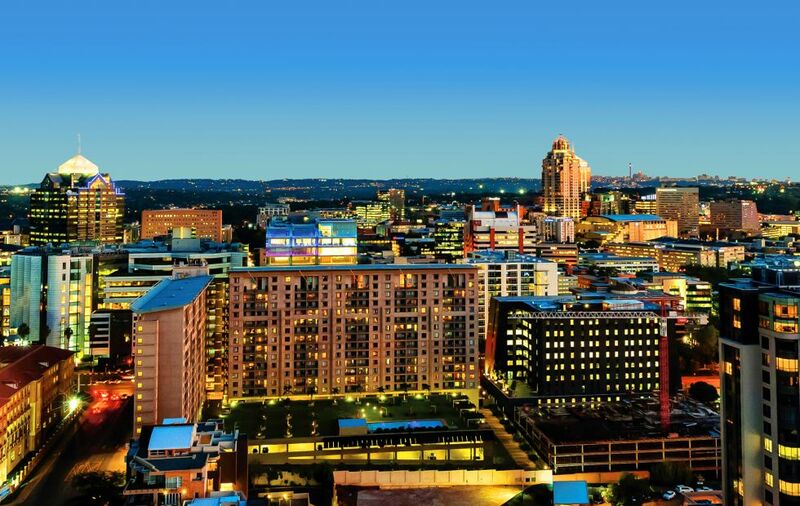 Wherever you are arriving from, The Sandton Sun hotel offers simple luxury Sandton accommodation, best-in-class business amenities and absolute city-central convenience. 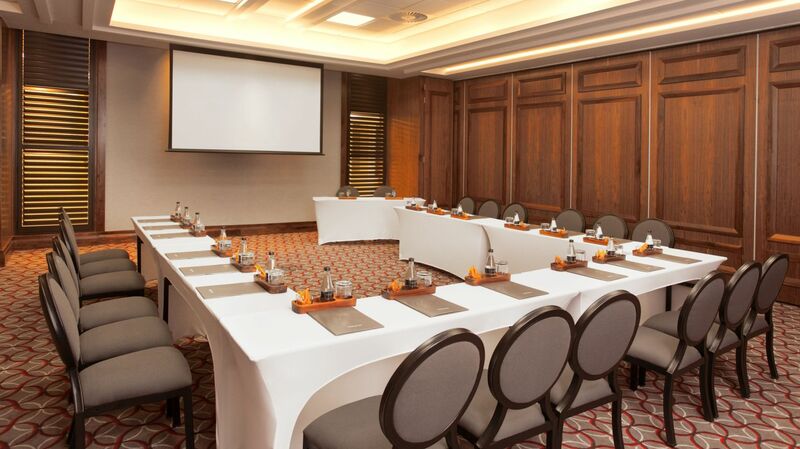 Sandton Sun offers a choice of seven separate Business Suite meeting rooms. 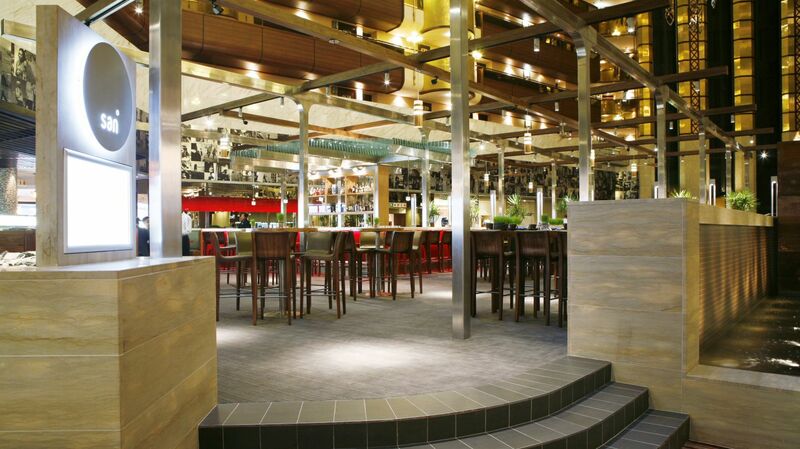 Catering for up to 200 delegates, it is the perfect venue for business meetings and conferences in Sandton. Our three Presidential suites combine opulent Sandton accommodation with breath-taking views, and feature personal service and a VIP check-in area. 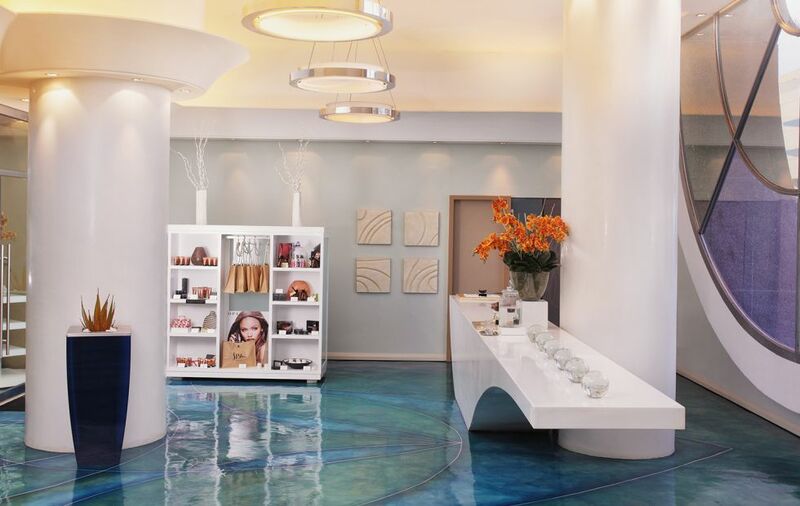 The award-winning Sandton Sun Spa is an oasis of relaxation, rejuvenation, and indulgence amidst the pace of Johannesburg. 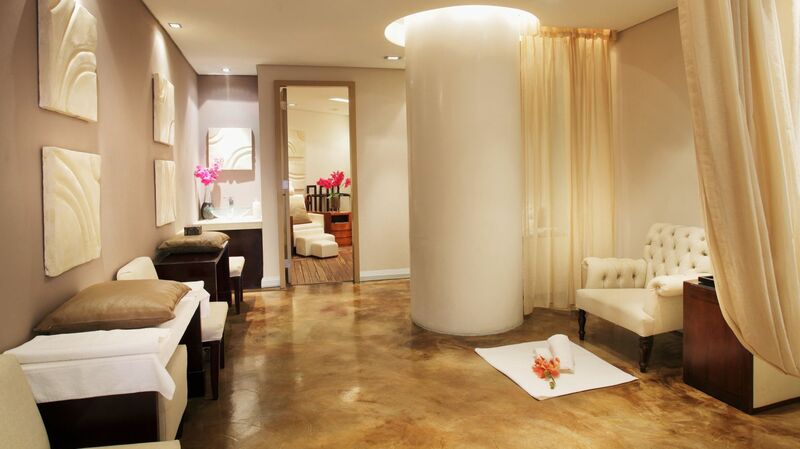 Spa guests are invited to enjoy a soothing and healing experience at the hands of professionally trained therapists. 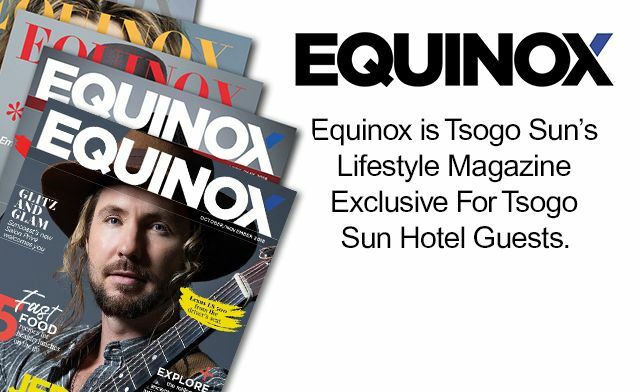 Located in the heart of Sandton’s exclusive business district, in the Johannesburg northern suburbs, the Sandton Sun hotel has become synonymous with style and timeless hospitality. Distinguished, award-winning and elegant. 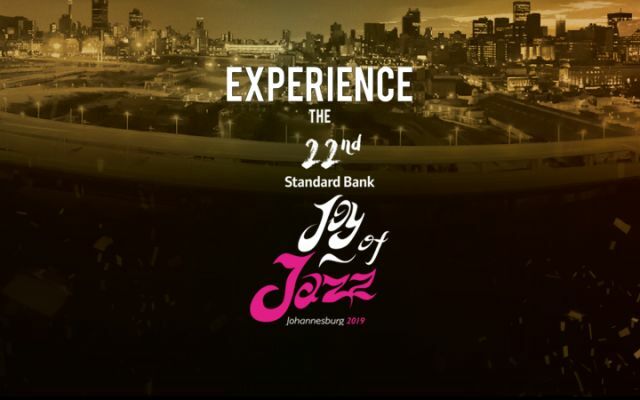 Located in the heart of Sandton-JHB, guests can expect timeless hospitality. 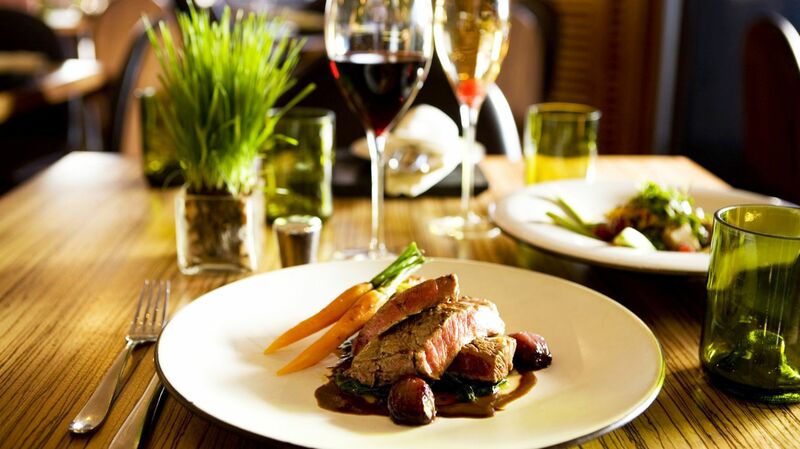 Guests dining at our Sandton Sun restaurant are sure to experience fine dining in a relaxed atmosphere. 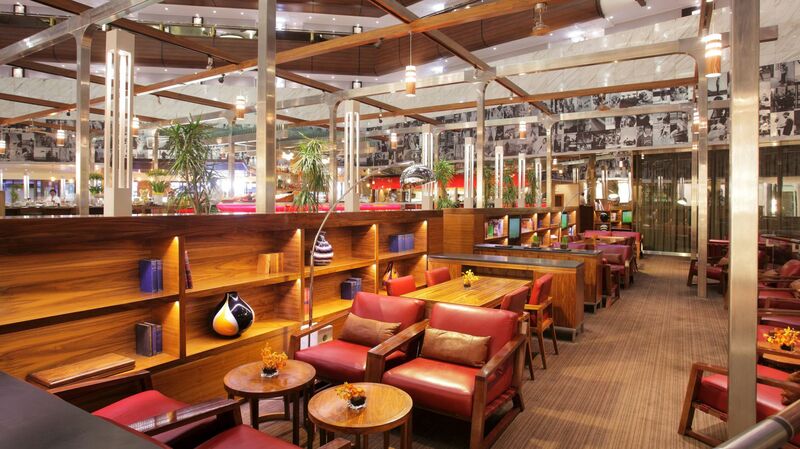 Whether it be at the San Deck, San Bar or San Restaurant, the experience is sure to be memorable. 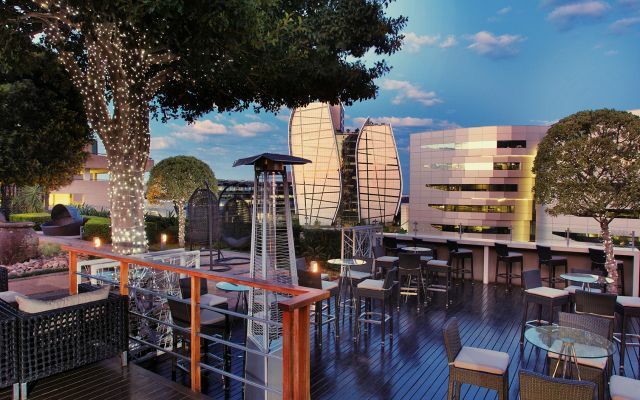 Trendy cocktails, great company, and the sophistication of one of Johannesburg’s finest hotels, ensure the ease and relaxation of our patrons. 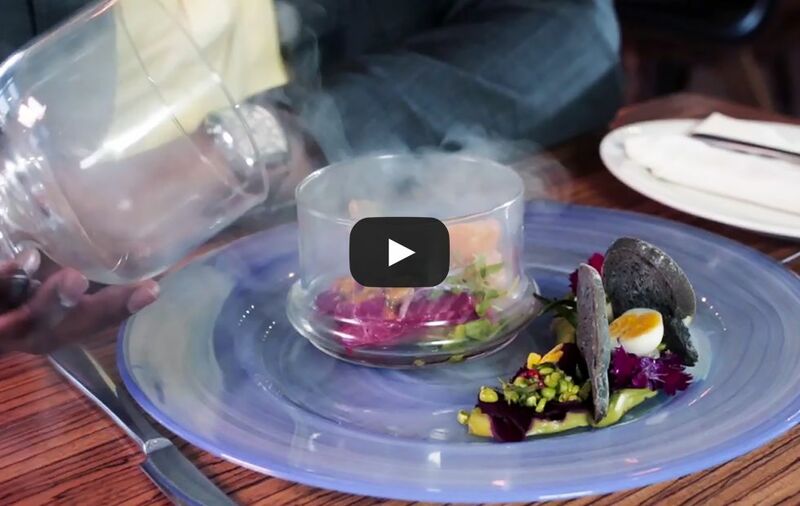 Diners can expect quality cuisine in an elegant & trendy setting. 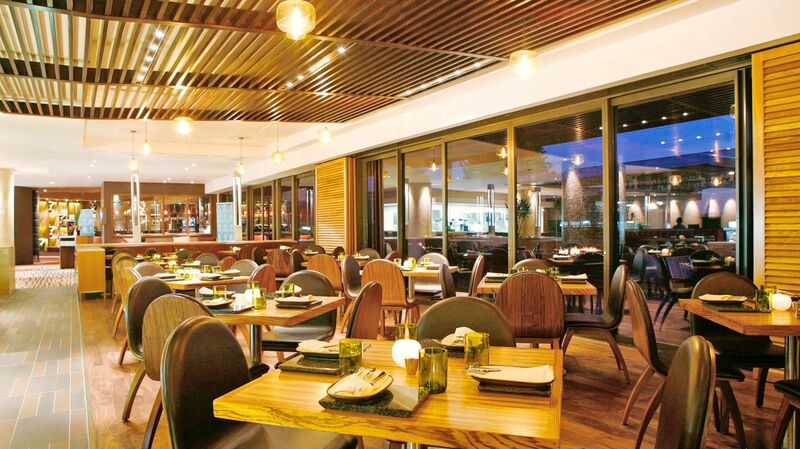 The San Restaurant, Deck & Bar provide excellent dining experiences and attentive service. 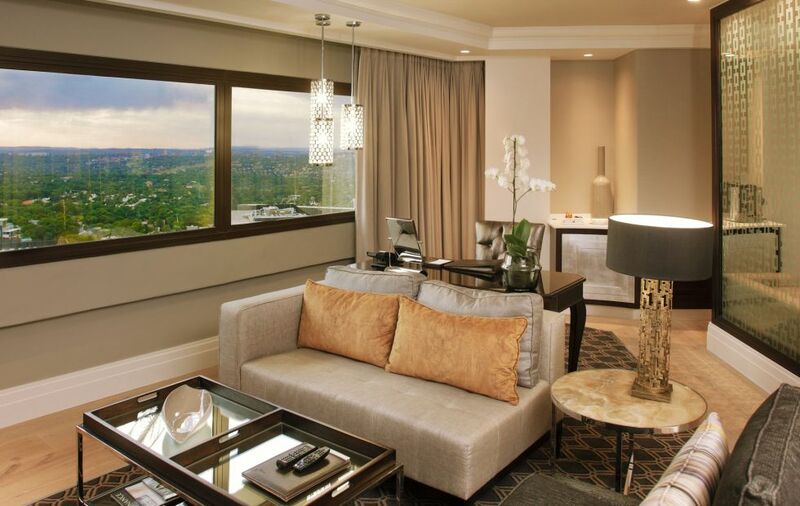 The Executive rooms are 53sqm corner rooms and have en-suite bathrooms and large windows that overlook Sandton. 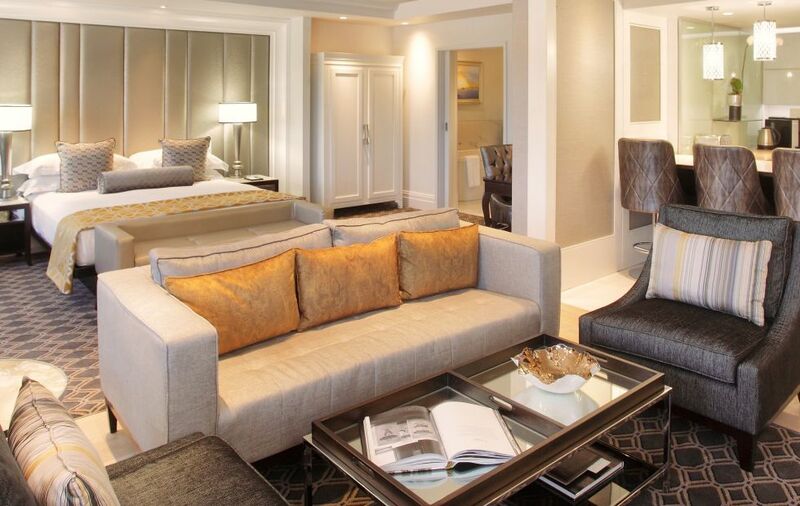 Features include a fully stocked mini-bar, coffee machine, 48" television with DStv and complimentary WiFi. The Studio rooms are 86sqm and have an open-plan bedroom with a kitchenette equipped with contemporary kitchen appliances and a dining counter. 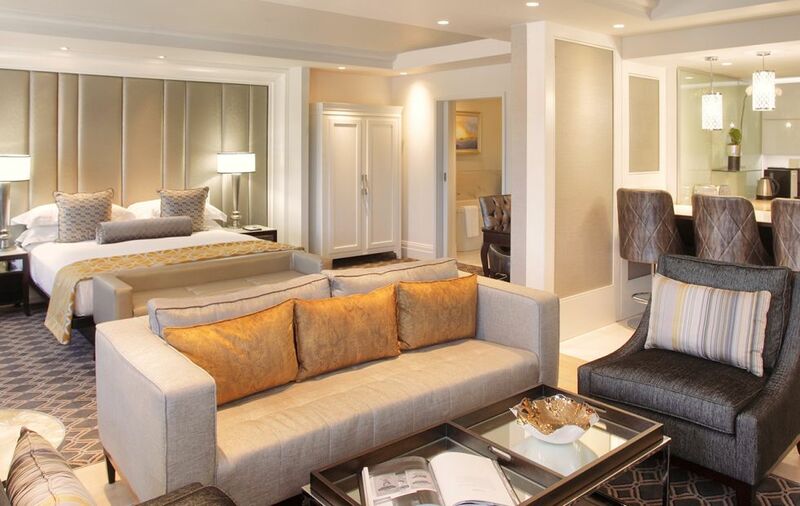 This luxury hotel has 326 newly refurbished rooms & suites. 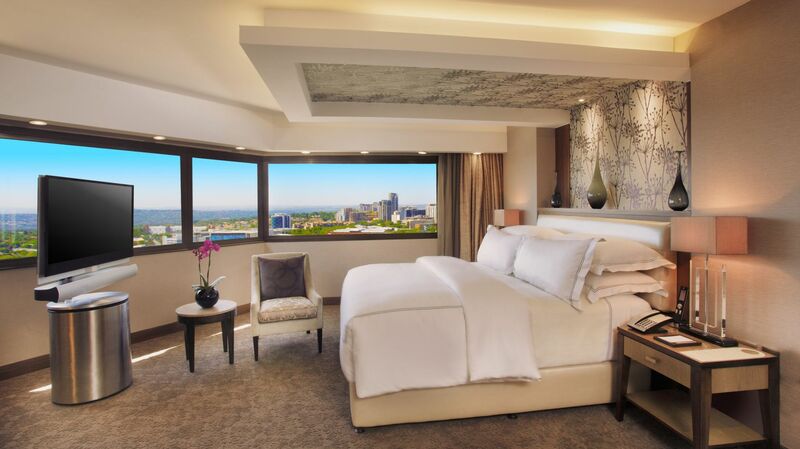 Rooms have views of the iconic JHB skyline and guests are assured of privacy & comfort. 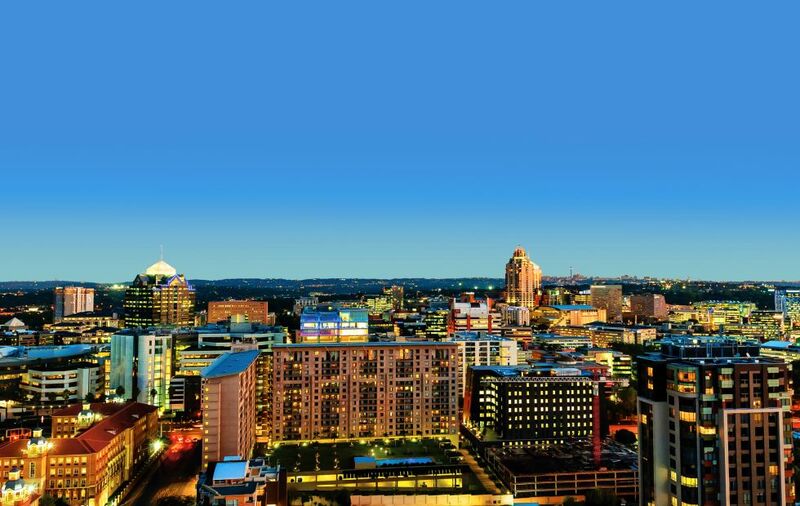 Sandton Sun offers corporate guests the use of seven separate Business Suite meeting rooms. Our conference facilities cater for groups of up to 200 delegates. 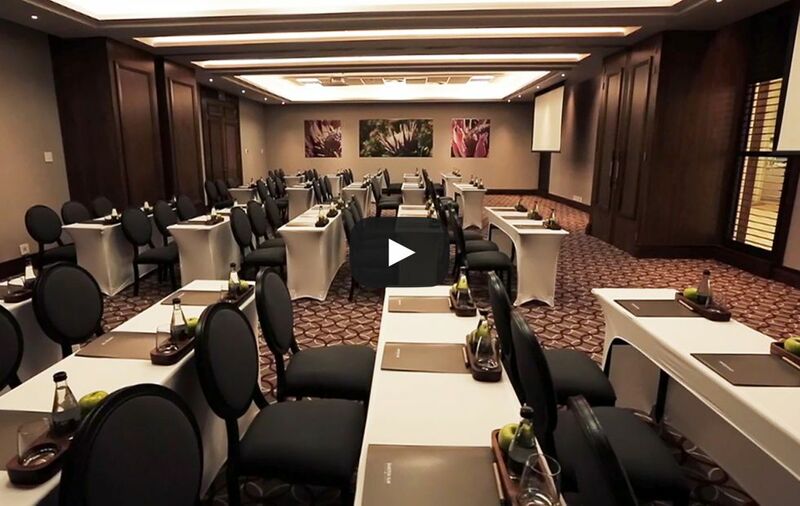 These venues are perfect for smaller meetings and conferences in Sandton. Accessible, conveniently located, and professionally serviced, our facilities are suitable for business functions, special events, and meetings of every description. 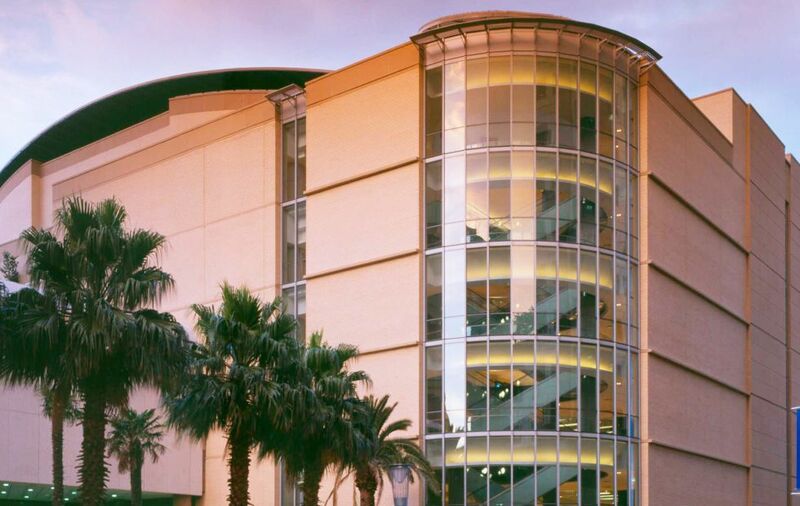 For larger conference or event requirements, the Sandton Sun offers direct access to the world renowned Sandton Convention Centre, via a skywalk. San Restaurant’s flexi and private dining rooms, with their own private terraces, add a final touch of exclusivity to any dining experience. 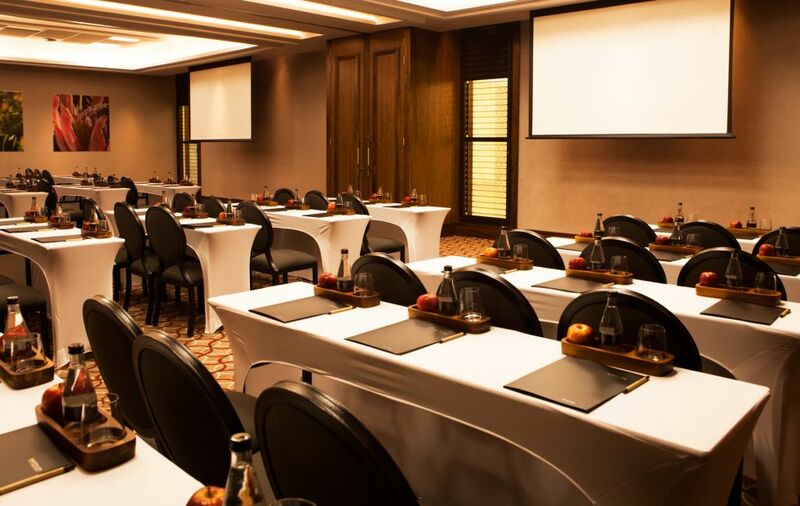 Enjoy professionally serviced and efficient conference facilities. Rooms ideal for private functions & small groups. Large venues @ Sandton Convention Centre.